Five residents at a retirement home in the south of France have died and more than a dozen others are in a serious condition after a suspected case of mass food poisoning. 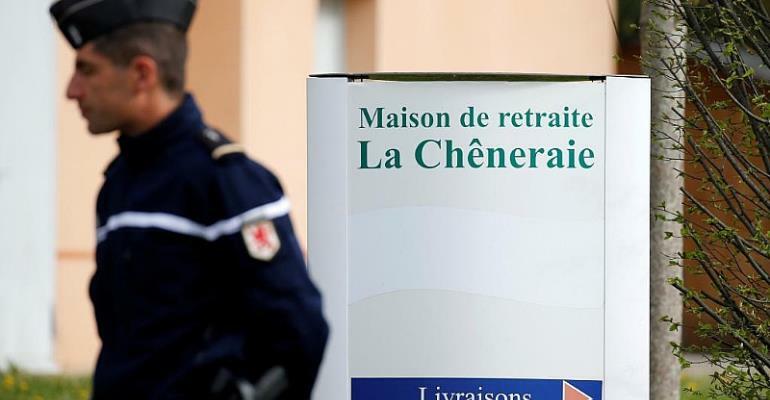 Officials said on Monday that twenty-two people at the Cheneraie residence, a private facility in Lherm, south of Toulouse, began showing symptoms including vomiting after dinner on Sunday. The victims were four women and a man, aged between 72 and 95. Toulouse prosecutor Dominique Alzeari said 19 of the 82 residents remained under supervision. Sixteen of them are described as being in very poor condition although their lives are not in danger. Alzeari announced “lenghty investigations” into the cases which constitute “involuntary homicide and unintentional injury." "I still have the menu in my handbag and I know they had Perigord salad last night. What could that mean? Could it be the foie gras?” Marie, a women who was visiting her father in the home, told the local Depeche du Midi newspaper. “They're going to do an autopsy in any case." The deaths come as the government prepares a bill on retirement financing for an ageing population of baby boomers that is expected to add nine billion euros to the national health budget by 2030. The management company Korian, which runs the home that opened in 2006 under licence from the French government, said in a statement that it "produces meals on-site with its own kitchen teams." Korian says it runs the largest network of retirement homes in Europe, with 803 sites in five countries, representing 78,000 beds. France has a total of 7,750 retirement homes with between 50 and 120 beds.